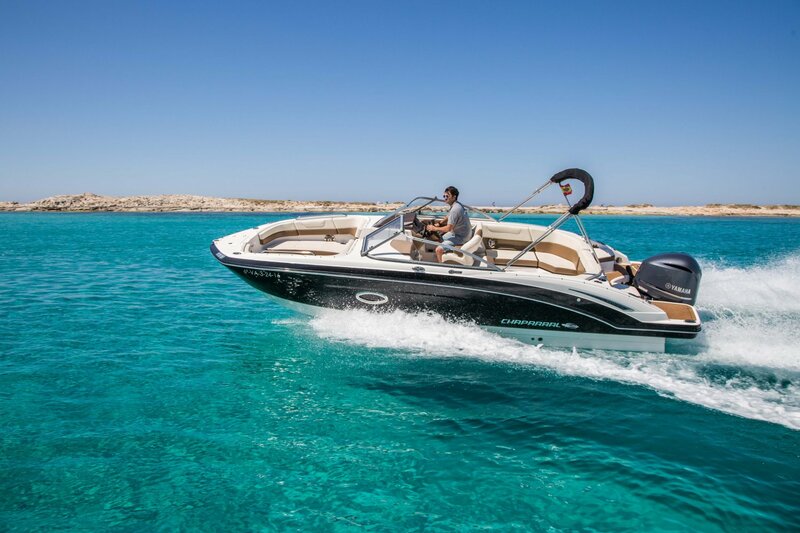 Our brand new 250 is one of the most sensational and innovative bow-riders in our fleet. Her bow-rider design allows multiple configurations for maximum comfort whilst cruising in style. Fuel is charged extra at 60L per motoring hour. On a normal day out to Formentera the average fuel consumption is around 120€.